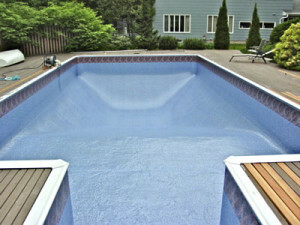 We carry vinyl liners made by The Vinyl Works company. Every liner is handcrafted using computer drafted precision to ensure an exact fit. Vinyl Works liners are protected from ultraviolet rays, bacteria, fungus and algae by a clear coat of acrylic. They come with a 15-year pro-rated warranty, so you can feel at ease with the craftsmanship that goes into every liner. There are many different prints to choose from and they range from 20 mil thickness to 30 mil thickness. If your liner needs replacing or is getting old and worn don’t wait until it’s too late. 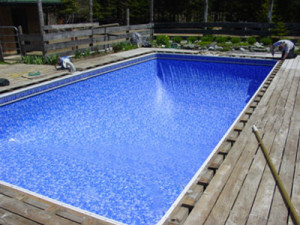 Call us for an appointment and we’ll come out and measure your pool for an exact fit. View the different patterns available from Vinyl Works Liner or stop by our store to see the vinyl samples. 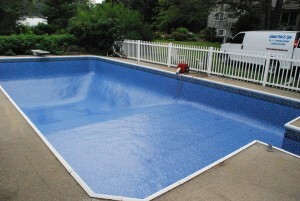 Custom measure your pool for a precision form and fit liner. 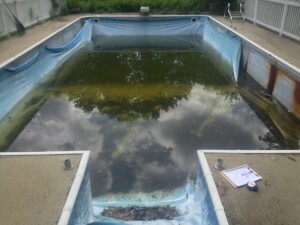 Perform a visual inspection of the pool and its components to make sure nothing else needs to be fixed while we are there. 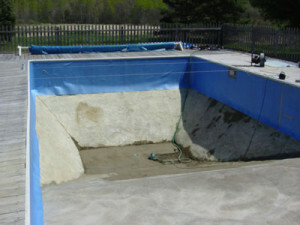 Cut old liner out and dispose of it. 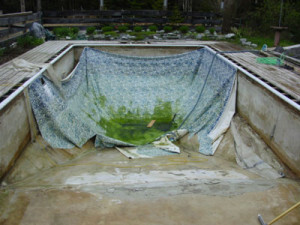 Chemically treat the bottom of your pool to prevent Black Algae. 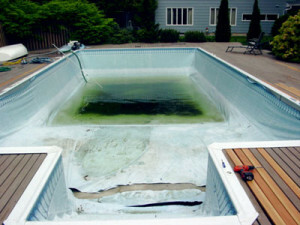 Repair cracks and holes in bottom and/or sides of pool. 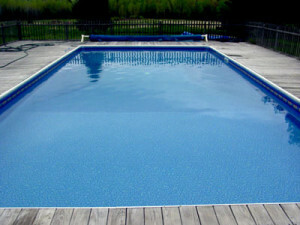 Clean pool and insert new liner. Cut in skimmer, returns, lights and stairs. We use new face plates, gaskets and VGB compliant covers, to assure that brand new look.